Arabian Power Electronics Company (APEC) is a leading global power electronics manufacturer having worldwide operations and production facility in Saudi Arabia. APEC was established in 2011 as a flagship division of ERAM Group, one of the most diversified business conglomerate in Middle East. The company has gained wide acceptance for the quality of products and services by serving more than 500 clients in the region and a total installed capacity of over 10 MW of power back -up systems. The company has an operations and maintenance team capable of reaching to the clients across Saudi Arabia, says a spokesman. Vision 2030 of Saudi Arabia is built around three themes – a vibrant society, a thriving economy and an ambitious nation. The vision of creating a thriving economy calls for unlocking the various promising economic sectors, diversifying them, thereby creating job opportunities, he says. It demands the development of a more stable energy sector with localisation of the technology, and APEC is close to achieving this through the process of transferring power electronics technology to the kingdom, he says. Power electronics markets are steadily evolving and are continuously diffusing its innovations through the overall semiconductor industry. For example the Insulated-Gate Bipolar Transistor (IGBT) market itself grew 12 per cent from 2017 to 2018 and in 2018, it is expecting spectacular growth, higher than 15 per cent, he says. The growing sectors include inverters used for solar panels to change DC to AC for household use; frequency convertors to support the radar systems in aeronautical sector, power electronics used in wind turbines to match the variable power produced by the turbine generator to that of the grid, power electronics for electric vehicles to control the electric power from the batteries; and smart grid applications that allow utilities to control power flows. APEC stands unique with the perfect blend of infrastructure and human resource and a strong background on backup power system technology. It is in perfect sync with the fifth generation UPS and battery chargers. The reliability and durability of any equipment is highly dependent on its heat management, he points out. The expert technologists in APEC have perfectly designed naturally air cooled rectifiers to sustain complex environmental challenges in the Middle East. 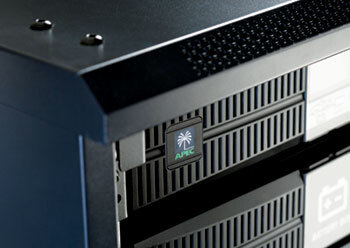 APEC’s core competence lies in providing operator-friendly, abuse-resistant engineering solutions. The current generation modular outdoor battery charger is equipped to handle abusive environment with NEMA-250-4X degree of protection without any air-conditioning or force cooling system. APEC’s expertise in battery technology is a unique blend between energy storage, power electronics and renewable technology. Any challenge related to battery monitoring and system monitoring can be handled by the expert technologists of APEC, he says. Throughout the world, owing to high investment costs for expanding public grids to remote areas, it would be uneconomical to connect these areas to the utilities in the medium run. Under these circumstances, stand-alone PV systems present a logical alternative. In addition to manufacturing power electronic equipment associated with the solar power systems such as inverters, charge controllers and MPPT controllers, APEC is also a leading system integrator that can offer a complete ON grid and OFF grid solar power generation solution including engineering, design, assembly, installation, commissioning, operation and maintenance, he explains. APEC, being the sole local manufacturer in the region of these systems, it can provide strong local technical support, fast delivery of products and spare parts and a comprehensive after sales services. The installation base includes a wide variety of products being exported to 12 countries in four continents. APEC holds an impressive clientele, in and out of the kingdom. Aramco, Saudi Electricity Company(SEC), Sabic, Marafiq, Maaden, Sadara, General Authority of Civil Aviation (GACA), MODA, Jubail Navy, Kaust, University of Dammam, AnB Bank, SABB Bank, DEWA, SEWA, KOC, EWA-Bahrain and Bahrain Airport are a few of them. Eram Magnaflux Pvt Ltd- is an Indian sister concern of APEC, based in the Industrial City of Pune with a nationwide network. They have in-house facilities for PCB assembly, transformer manufacturing, R&D Departments etc. Some of its clients for specialized projects include the Indian Space Research Organisation (ISRO), L&T, BARC (Mumbai), RRCAT (Indore), VSAC, HAL, Indian Navy, Indian Air force, ISTRAC, Bangladesh Electricity Board and many more. APEC has a well-established training facility and it conducts seminars and workshops for the young school and university students of the kingdom. Students from different universities are given the opportunity to attend internships and training programmes and thereby enhancing the technical skills of the Saudi youth. A new facility, which has an overall area of 8000 sq m with a well-equipped production and office facilities, is ready to be in operation by end of this year and this will deliver the most innovative technology, products and services as well as job opportunities to the young Saudi engineers and other job aspirants. The company will be hiring more Saudi female employees into the administration, engineering and production departments. The facility, located at the 3rd Industrial Area Dammam is completely designed and constructed for the future. Its position and proximity to the upcoming King Salman Energy Park, which is going to be the epicenter of global Industries, will help turn the spotlight on APEC- the indigenous manufacturer.